TRUST THE TRUTH ENTRUSTED TO YOU. “My Word will achieve the purpose for which I sent it.” Isaiah 55:11 NIV. We live in a generation of hyper-information, unlike any previous generation. Satellites connect the global community – providing internet, phones, television, radio, instant communication, entertainment, and so much more. Those connect us with information that is immediate, in a quantity that is immeasurable, and on a scale that is global. Because of that incalculable capacity, your challenge is to distinguish truth from the unending opinions, deliberate misinformation, or mere speculation parading its self as truth. Every day, truth is assaulted by opinions drawn from little more than personal whim or prejudice, or partial truths mixed with so much error as to leave an infinitesimal seed of truth unrecognizable, or deliberate misinformation that is scandalously and blatantly untrue. Pilate asked Jesus we each must settle, “What is truth?” John 18:38 NKJ. You will need wisdom and the Holy Spirit to distinguish between truth and error. What is true? Where is truth you can believe in? In the shadows and fog of all the noise, God’s Word is a beacon of truth. At the end of his life, Moses instructed, “Ascribe greatness to our God . . A God of truth, righteous and upright is He.” Deuteronomy 32:3-4 NKJ. Truth is what any of us want. It is simple really. Either God is true, or what He says is not. But if God be true, His Word cannot be otherwise. “Indeed, let God be true but every man a liar.” Romans 3:4 NKJ. Trust the truth God entrusted to you. In life, I have observed this simple, practical fact. “You do not choose what you believe; you first choose who you believe, and that choice determines what you believe.” Choose to believe God and His Word. I want to be counted in the company of those who can say with bold assurance, “We speak as those approved by God to be entrusted with the Gospel. We are not trying to please people but God, who tests our hearts.” 1 Thessalonians 2:4 NIV. Who you know and trust ultimately shapes your opinions and forms your beliefs. Out of those, come your convictions, felt and held deeply. Conviction of truth is not imposed upon you; truth resonates in your spirit and waits to be recognized and embraced by you. I have chosen to believe God; therefore, I believe the Word of God to be divinely inspired, ultimately and eternally true, and both practical and powerful in its application. Read 2 Peter 1:20-21 NLT/2 Tim 3:16-17 NIV. God won’t quit; His Word won’t fail. “If indeed you continue in the faith, grounded and steadfast, and are not moved away from the hope of the Gospel which you heard.” Colossians 1:21-23 NKJ. God’s Word continues to work in those who continue steadfast in His Word. When you embrace God’s Word, you release God Word to work until its promised completion. “My Word will accomplish what I desire and achieve the purpose for which I sent it.” Read Isaiah 55:8-11 NIV. 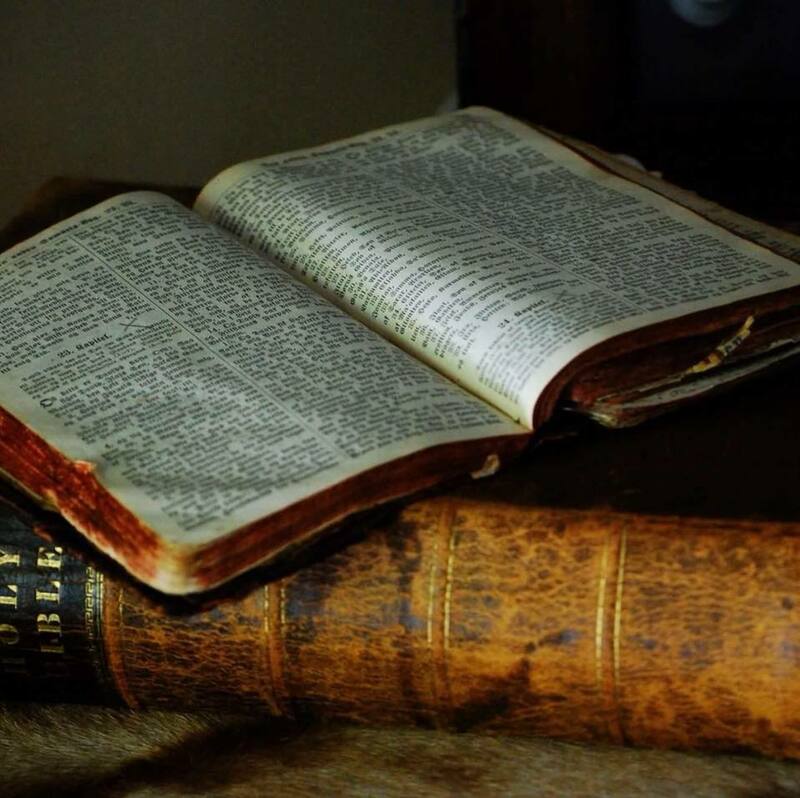 The Bible is Truth, and in its pages are found the incomparable wisdom and knowledge of God. The Bible teaches principles of how truth is to be applied in practical ways and ordinary situations. Jesus taught that a life that will endure remains unshaken by all else that changes, when resting firmly upon the Word of God. Read Matthew 7:24-27 NIV. Today, I pray for you to allow truth to work deeply in your heart and life.